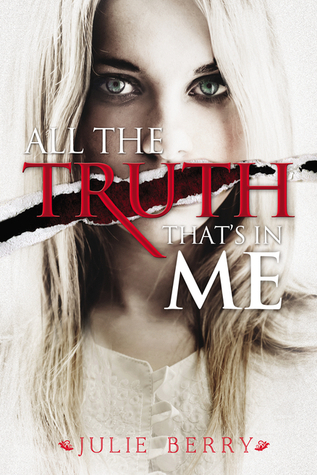 Greece Library Teen Blog: All the Truth That's in Me by Julie Berry is AMAZING! All the Truth That's in Me by Julie Berry is AMAZING! Wow. I stayed up till 1:15 am reading this book - and I devoured it in one sitting! I can't remember the last time I was this engaged with a book. Definately one of my best books read in 2013! It has everything: a murder mystery, an undefined historical setting, strong characters, plot twists, and romance. A 5 star review - Outstanding! Visit Julie's website http://www.julieberrybooks.com/. Be sure to read the About Me section. Julie grew up as the youngest of seven children on a 50 acre farm in Western New York. She reminds me of Laura Ingalls Wilder in the photo, and she loved Charlotte's Web and the Little House books, just like me!